What is Emotional Therapeutic Counselling? This morning I stepped outside to take my dog for a walk across the fields. The sky was dark and low and the rain was pouring down – but a dog still has to get his walk. I could feel my resentment at the weather – and only a couple of days ago it had been hot, sunny, calm with just a light and welcome breeze – and now it was blowing a gale – even the birds sounded happier a couple of days ago. And so began the negative thoughts. But then I thought to myself what will happen if I just notice my surroundings and just let it be moment by moment and stop thinking about getting soaking wet and windswept? 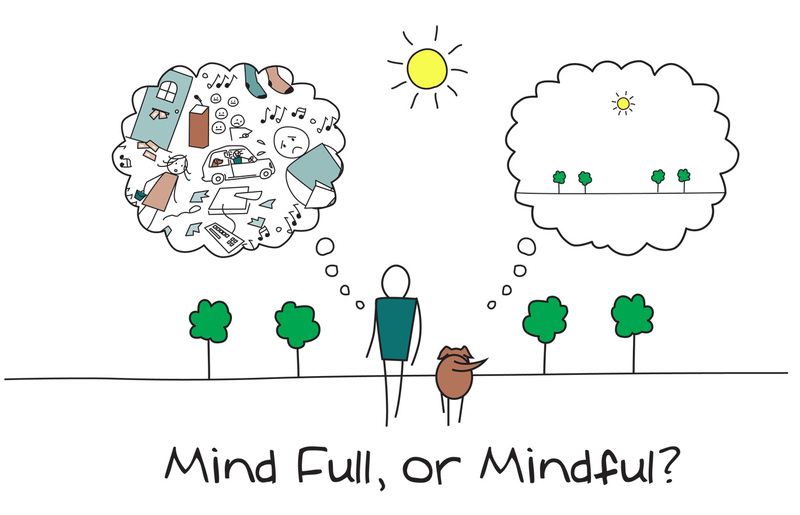 What would happen if I allow myself to be mindful? Amazingly my walk became something to enjoy. The formation of the sky was actually dramatic – thick, rolling pewter clouds one way, orangey-grey another. The, as yet uncut, long grass looked a completely different colour as it was blown in one direction by the wind – taking on a silvery sheen interspersed with red and yellow flowers. The cracked earth had for the moment smoothed over. And my dog was happily jumping through the long grass getting wetter and wetter – such spontaneous and in the moment happiness is truly infectious. I found myself smiling and then happily searching for six-petaled buttercups until I found one – totally absorbed in this task. With a conscious reminder I allowed my myself to be in the moment and to be mindful. And in that moment everything was ok. Allowing such present moments are the greatest gift we can give to ourselves. Young People are not just exam grades!